December was a slim month of reading, completing only eight books. With cold temps and challenging workouts, it’s harder for me to take notes, so it takes me much longer to get through a book. Of the eight, there was only one that I’d recommend. Top honors goes to “How to build self-discipline to exercise” by Martin Meadows. Martin has written many short books on motivation and self help, and I avoided his work for quite some time. But since they are so short, I thought I’d finally give one a try… I was pleasantly surprised. He knows his stuff. While I’m not a fan of the idea of self-discipline, I do agree with many of his ideas. This is a quick listen, and you’ll definitely find some valuable information. The least valuable book of the month was tossup between “Mindshift” by Steve Chandler, and “The inside out revolution” by Michael Neill. Both of these books are dripping with spiritual drizzle. They make bold claims that can’t be backed up, and essentially position the ‘ego’ at the center their work. It’s unfortunate, because both of these men have produced other good works without the schlock. Don’t waste your time on these two. Of the ten books I listened to, there were four that I’d strongly recommend. My favorite by far, getting a rare 5 star rating is “Radical Honesty” by Brad Blanton. This book doesn’t pull any punches, and is one of the most insightful books on psychology I’ve ever come across. Can’t recommend it enough. There were no books that really tanked on this list, but of the bunch, I’d say that “Victorian Secrets” was the least interesting. Of the eleven books I listened to, there were four that I’d strongly recommend. My favorite by far, getting a rare 5 star rating is “The Future of Mental Health” by Eric Maisel. This book should be recommended reading to anyone in education, politics, leadership, mental health… well, everyone should read it. There were no books that really tanked on this list, but of the bunch, I’d say that North by Scott Jurek was the least interesting. Reading List – August 2018 – 30 Books! August was my biggest month of reading EVER! I wanted to see if it was possible to listen to a book a day for the entire month, and still take careful notes, and fully process the ideas I was encountering. In the end, I fell one book short, having listened to thirty books in thirty-one days. What a mind opening experience! Of the thirty, there were eight that I’d strongly recommend. My top picks are: “The Man Who Wasn’t There”, “Running is My Therapy”, “The Coming Storm”, “Million Dollar Outlines”, “A River in Darkness”, “The Lucifer Principle”, and “Atheism – A Very Short Introduction”. 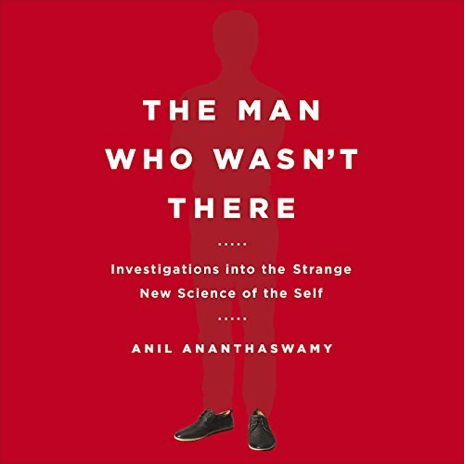 While all of the above books are important reads, the book that really stood out for me was “The Man Who Wasn’t There” by Anil Ananthaswamy. This book is a deep dive into the nature of self. By looking through the lens of various mental ‘disorders’, Ananthaswamy demonstrates the fictitious nature of our sense of self. If you want to better understand what makes you and others tick, this book will open your eyes, and hopefully your mind to our narrative realities. It’s both very informative, and fascinatingly interesting. The only reason not to read this book, is that you want to remain behind the veil of ignorance, believing that you are the master of your conscious world. The biggest loser of the month was “The 10X Rule”, by Grant Cardone. This book is FILLED with some of the worst advice I’ve ever heard. Although I will borrow his 10X rule for this review – Don’t read this book! Don’t read this book! Don’t read this book! Don’t read this book! Don’t read this book! Don’t read this book! Don’t read this book! Don’t read this book! Don’t read this book! Don’t read this book! Heck, I think 11X is better than 10X any day – Don’t read this book!